Multiple diamonds cover the face of this cushion-shaped ring, perfect for the woman who loves shine. Round- and baguette-cut diamonds, totaling 3/4 ct, are featured atop the face and split-band for a detailed look. 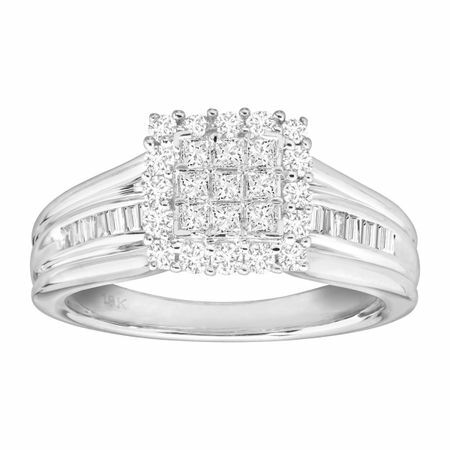 10K white gold lends a luminous shine to this ring, ideal as an engagement ring or anniversary present. Ring face measures 3/8 by 3/8 inches.